I was exposed to mold in my basement for about 5 years. I started having breathing issues, been in and out of sinus clinics, had pneumonia, went to pulmonologist, then oncologist, and he said I had stage 3 lung cancer. Now I can't smell any chemical (perfume, soap, plug-ins, etc. ), they get in my lungs and I start wheezing. Now I am 59 and when I work, exercise, or walk it is hard to breathe and I can't get help. I am not ready to die. I was on Opdivo treatment which didn't work, then Keytruda caused diarrhea, and the doctor gave up on me. I had for years developed headaches and congestion when in basements. Finally one doctor sent me to an ENT to be tested. I had a mold allergy. For years I did allergy shots which worked. I stopped and moved out of my house. Still now if I am in a moldy area I get headaches and sinus blockages. Crisp cold air is best to breathe and I use saline spray daily. When symptoms worsen I take allergy medicine. I moved into a new apartment complex where they had a wall unit air conditioner. I was pregnant with my son and I have two other children, our AC unit was slowly killing us. Every time I turned on the air conditioner I smelt a terrible smell and I told my maintenance and he told me just use air freshener, it was dirty. So, for a whole year I lived there and I called an expert in to find the AC unit was full of black mold spores! We are now being treated. It was tested positive for black mold. The apartment under mine is infested with mold! They just replace carpet and paint over it. Now it's in my bedroom, I sleep one 4 hour night, I suffer for 14 to 18 days with severe symptoms of no voice and allergy issues. I can't use OTC medicines. The complex is ignorant of my medical cries for help. I'm elderly and disabled. Guess they assume I'm senile and I'll die soon. I got exposed to several toxic molds while working on 4 houses during November and December of 2007 which made me extremely ill in January of 2008. My doctor, who was knowledgeable about toxic molds, said the only cure for those was time as my immune system developed a resistance to them. He figured that would take several years in my case due to the severity of the symptoms. It did take 10 years before I was back to normal. Someone close to me was exposed to mold behind their walls which caused them to become very sick. This inspired me to become a mold inspector myself. I'm very grateful for this blog which helps educate others on the severity of this issue. Mold legislation and medical world still do not know how to treat mold cases. Out of the 50,000 molds only 50 are considered toxic. Inhaling spores will cause havoc and maybe fatal. Many say only if you have a weakened immune system you are susceptible. However, I was very healthy before I had about a year of low exposure/lung infection, very low oxygen and daily asthma attacks and more. I was hospitalized every 6 weeks. Half the battle is getting out of the environment and 2nd, find a mold doctor! About 4 times over the last 2 years as a realtor, I have shown houses where it was obvious by smell/sight that there were mold problems. I have had chronic asthma my entire life. 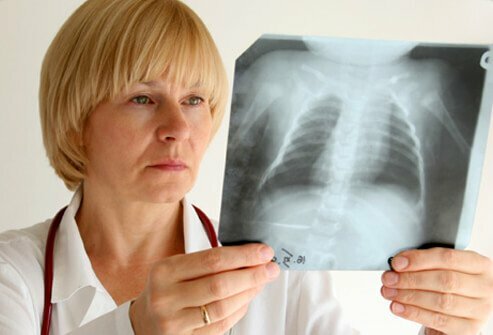 Every short term exposure (in the house for a half hour or less) has brought on an immediate, acute asthma attack, followed by a few weeks of wheezing and continued inhaler use, chest congestion, and last time developed into a lung infection. Not all mold exposures have done this to me. Must be a certain strain. My brother lived with black mold for years, now he can barely talk. He really struggles with each word. He knows it is mold infection but cannot find a doctor that listens or believes him. They try treating for everything except mold exposure. We are looking for a doctor who will treat for mold. Today was the first day of school, and my classroom is located in a trailer. When I entered, the carpet was covered with green colored mold, it was all over the desk and chairs. I told environmental workers and while I was at my meeting they cleaned up but not everything. That night my throat started to hurt, my nose was stopped up and I had a headache. I read about mold and this is scary. I have had a small case of asthma for about 3 years. It started as a result of being exposed to mold. I moved and the coughing stopped. Now it's been almost 3 years I moved into what I think is this amazing place, and I been having coughing spells that has almost made my lungs collapse and I have horrible skin bumps that won't go away, along with dizziness, sneezing and just all around feeling the worst ever. My experience has been horrible with mold, I'm very allergic to it. Mold was behind our plastic shower insert. Landlord tore out the wall and left it open and exposed so now we are facing mold spores all over house. I haven't slept in days due to the constant itching and crawling feeling all over my body. I have to shower up to 10 times a day just to be comfortable. I need ideas of what to do to get rid of the spores or mites that are affecting me and my family. I was exposed for months to mold (black). It didn't smell too bad so I thought nothing of it. I finally was debilitated to the point where I couldn't even open the jar of medicines I had received. One was for gout, the other for rheumatoid arthritis (RA) for which I am still being treated. My landlord left a leak that got worse and was never in a hurry to fix it. It's been 2 years and I still suffer greatly. I feel my life is ruined unless there is a cure. Someone told me gout and RA are always, or, very often misdiagnoses for mold exposure. Even today, I got down on the ground for something and couldn't get up. I'm even thinking about an attorney. There was often work done without permits, and shoddy. The place hasn't changed much so someone could go back and see what kind of mold it is. I am a mother of 3 young children, 7 years, 5 years, and 1 year. I moved into our apartment 2 years ago. I found black mold under the padding of the rugs in both bedrooms. The landlord said to spray bleach on it and it will go away. I never changed the old padding in family room. Recently I saw black mold on my bathroom wall when a piece of paint chipped. So I pulled a decent amount off and found that it is more than I thought. It is hidden under scrapple tape. My new landlord won't help, I wonder how serious this is. I felt some pain that started in the right side of my back, I was thinking it may be a stone, and over a month it grew worse and now circled my pelvic area into the scrotum. The clinical indication was gross hematuria. Here are the findings from the CT scan. Multiple diverticula in the colon, without evidence of acute diverticulitis, negative exam for renal or ureteral calculi, multilevel degenerative changes in the spine, at least 3 small lung nodules in the right lower lobe, measuring up to 7 mm, atherosclerosis and cholelithiasis. I am a tenant, my landlord and maintenance man will not clean up my apartment. I am suffering from mold poisoning, I reported it several times and sent a letter to my landlord. Still nothing was done, I am disabled and can't afford to move. I am trying to find the best vitamins, and herbal ways that are not too expensive. I got stung by a stingray 9 days ago on Catalina Island. It felt like a hot ice pick into the top of my foot. I knew what it was immediately. It bled profusely and I read that the ray also injects an anticoagulant with the venom. The hot water soak for 1.5 hours helped immensely with the pain that was shooting from my foot up my leg, and after letting it bleed some, pressure stopped it right away. I sent a photo to a doctor and he prescribed 500 mg of Keflex 4 times per day. I also got Hibiclens antibacterial skin wash hoping to avoid secondary infection. The barb was not left in my foot and I hope no debris since I was hiking on an island and didn't have professional cleansing of the 1.5 inch wound. Being an avid, swimmer, diver, and surfer for 65 years, and never being stung is pretty good I guess. It's now itching like crazy! I see that others mentioned this too. My husband has been having diarrhea and nausea and he has been at home since he is retired. I have found places with mold and cleaned them up. However the other day I was at home for 3 straight days and I started with the nausea and vomiting. I wonder if this is mold poisoning. I was using some old horse hay that had been fully exposed to the elements for several months by hand-spreading it over an area that I had seeded and fertilized. The next day I could not get my nose to stop running, that night I was woken by a really bad headache, my sinuses were stuffed up and my fever went as high as 104 and I was a little nauseated. I went to the doctor, they diagnosed a sinus infection and prescribed amoxicillin clavulanate potassium. Perhaps I could have some kind of mold poisoning from the hay. I moved house in the beginning of 2015. All my symptoms started on the same time. In the beginning I thought it was due to winter, as I'm living abroad in a colder country. But after some months, same rhinitis and sinus infections, flu-like symptoms, and getting worse, and everything. I stayed away and got back to the house, and I started new symptoms; skin rashes around the eyes, increasing nausea (especially when drinking alcohol), diarrhea, fatigue, and weight loss. General physicians can't figure it out by my blood tests only the immune system looks like it is fighting something; but I can, it is mold allergy, illness! The moist smell and the old aspect of the house, I don't think twice. At the moment I am trying to move house. I have just moved from an apartment I lived in for 2 years. While I was there I became very ill and began breaking out in a rash and some kind of a fungus. Upon going to the doctor and moving, my symptoms were very bad cough, bloody nose, throat swelling, running nose, unable to hold food down, loose stools, memory loss, and many more mold related issues. I am being treated by my doctor now but still feel that he is not getting it. I work in home help care. I have noticed that the wall above his shower is black. I am concerned. He is a triple amputee and after his shower I get him ready. I noticed my nose running and I am sneezing like crazy. I have had to stay there for a couple of days and came home sick with coughing and nausea. I recently moved into a new apartment and had a leak under the sink in the kitchen. They fixed the leak only to find that it still leaked. Finally it is fixed and I can still smell the scent of water. I have been having severe headaches and aches all over my body. I had a series of blood tests and nothing but high B 12 in my blood. In an effort to clean a relative's home, I found that every visit there left me wheezing, coughing, and even breathless with itchy watery eyes. I thought it was a reaction to dust, so I always sprayed Lysol, wore gloves and a mask. This did not help. My doctor said I had allergies, but I had not had allergies before. Then one day, my brother noticed that the ceiling in the living room had water pockets with small holes. He said, 'I bet there's mold in that ceiling and that's what is making you sick.' I knew he was correct because there was a roof leak and the ceiling had been that way for a while. I checked various articles on the effects of exposure to household mold and discovered that my symptoms were classic. I should also add that the relative who lives in the house suffers from upper respiratory ailments and frequently uses albuterol in a breathing machine. I have been a caregiver in a home that was flooded 2 years ago. I get sick every time I go to that house, sore throat, difficulties breathing, bad nasal issues, and my body has started shaking, and I have hair loss. I am concerned there is black mold growing in the house. I lived in this block for a year and knew nothing of mold when I moved here. My son and I have been ill on an off the whole time we have lived here. To start with, we found a strip of mold in the cupboard and treated it and thought that was the end of it. Two days ago I saw a small damp patch on the bathroom linoleum and investigated. It turns out that the whole bathroom floor, every inch of it was thick with black mold under the linoleum; may be a slow leak somewhere did it. I have killed all the mold now and cleaned the floor right back to the concrete. I feel so flipping ill right now the last two weeks my whole body is a mess. I have no energy, head ache, it hurts to urinate and I have dizziness bad lungs. My little boy is throwing up, but he is not as bad I think, because we swapped bedrooms. I want to move soon and find a place in the countryside for a few months. Mold is bad news; find it and destroy it. I have been experiencing flu like symptoms along with a condition which can only be described as a chronic croup cough. I am constantly congested and I have shortness of breath. Post nasal drip, burning in my nostrils, burning in my throat and upper chest, watery eyes and chronic fatigue which is beyond what I normally feel due to my underlying condition of SLE (systemic lupus erythematosus). My doctor has treated my symptoms with antibiotics and steroid inhalation devises. I have been experiencing the above symptoms since I began working in a home that was discovered to be contaminated with mold. The renter of the property where I work has been tested with T2 toxin and 3 other types of toxin due to mold exposure. I cannot afford that test. I am going back to my doctor to find out if I can be tested for my prolonged exposure to mold. So I need some other opinions before I go to the doctor. I was just recently laid off of work so I was not home until the evening. Now that I am not working I am home often, and since I been home I have been really sick on and off. It's getting to its worst because now my ears are constantly feeling like they're burning, my lips are so red, and I am constantly coughing to the point I'm also regurgitating. I am constantly getting very stuffy and my nose gets really itchy. I am suspecting it's a reaction from mold exposure because the townhouse next door was once occupied by myself and my family. We left due to mold being in the house and moved to where I am now. This is the first time I am experiencing this in about 4 months that we have moved here. I live in an apartment and I have lived here for almost 3 years. About 3 months ago I noticed a water stain under my sink, and I notified the manager. The maintenance guy came but couldn't find any leak, so he didn't do anything. I started having a runny nose and a strange feeling in my hands. Also my skin feels like it always has soap on it (slimy), and my hair is falling out more than usual. On 8/25/14 I couldn't sleep so I was cleaning in my kitchen. I moved some stuff and found black mold on the wall and on the floor under the counter beneath the sink. My son has had to stay home from school almost every other week for the last few months. Last week, he said that he needed to go home (from school) because he wasn't feeling well. That evening he had 102.7 fever. Early this week, he started showing cold/allergy symptoms and again has been home for the last couple of days. I was helping him pack his backpack this morning and noticed a foul smell; he had an old lunch or two that rotted in his backpack, who knows for how long. This is not the first time this has happened. I removed everything (binders, notebooks, etc.) and wiped them down with a Lysol wipe, then replaced the backpack. I started to look into effects of mold and found that mold exposure causes respiratory type illnesses and fevers. My son has had these type of things forever, all unexplainable. I might have found the culprit. His symptoms only last for a day, or two. I've had to replace his backpack five times in the last couple of years due to the same problem. No more lunches or snacks (bananas, sandwiches, etc.) in his backpack from now on, until he is capable of removing them after school. I have white spores, sometimes black, all over my body, and all in my trailer. The mold spread so fast I have severe headaches, cramping, and lost appetite. I did not know it was mold. For 9 years I was so sick having episodes of throat closing, and unable to breathe. I don't have appointment for 3 months. I'm horrified I forgot that allergist diagnosed me at 25. My primary care physician says watery eyes, wheeze and this is as bad as it gets. Black mold is no good for me. I had a major abdominal surgery 4 years ago and received parts foreign to human DNA of which I'm experiencing complications. Now I've exposed myself to hidden black mold at a friend's recreational vehicle which has gone airborne. It is making it impossible to breathe, sleep, and function daily. I am not choking out blood yet but am definitely drowning in myself it seems. My friend is overly ignorant and will probably not survive very long. I need to know how to fix my breathing without a hospital or prescription. I find it difficult to spread my legs anytime I need to do so because of hip pain. I limp while walking. Biggest clue I had mold allergy was stepping outside on a damp, humid day (surrounded by swamps, etc. ), I could feel the inside of my face swell up. Bleach does not really kill mold, it mostly changes the color from black to what looks clear. Borax mixed in water is more effective. Mold likes a low pH, whereas borax has a high pH. I am highly allergic to mold, and I believe that I have most of the symptoms, which include coughing for 2 months, loss of appetite, asthma like symptoms, fatigue, and tingling in hands. My future wife and I, family and all the residents of our condominium have been breathing toxic air for years. I have live here for 4 months and have never been or felt so sick from this building. This building has black mold, asbestos and termite infestation. I have reported to the state, county, and the city officials, 3 weeks ago. I still haven't see anybody helping us. I have been dealing with mold exposure for about ten years. I am at the end of my rope, it seems like every home I move to has mold. I have rheumatoid arthritis, fibromyalgia, diabetes type 2, and skin lesion from the mold all over in my mouth, feet, hands, and nose. I do not know where to turn now. The problem is, everybody brushes me off; they all say mold is everywhere. A little bit about me, I worked in the medical field for 22 years, was a bodybuilder and ran marathons up until 10 years ago. Now I am just trying to live. My daughter believes mold is in her car. She is throwing up blood. I wonder if that could be a side effect. She went to the doctor last week, she was blowing her nose and blood came out. She was treated for sinus congestion. I was exposed to black mold after my septic tank backed up. After using Clorox by the gallons for months, I moved while another home was built. It has been 6 years and my sinus issues have worsened in the last 3 years. I know my son's smoking has added to the problem, however the main issue now are holes in my nasal cavities and I will see an ENT and head surgeon this week. This is a miserable condition. I can smell mold and the smell of smoke drives me crazy. I am hoping they do not find cancer, since there is a large amount of blood in my nose all the time. My apartment recently flooded. My landlord slowed around in the cleanup and they put in new carpet. It's been 2 months and now I'm having trouble sleeping, I have a cough and I had a cold I just couldn't seem to shake for about a month. I have a fever at the moment and I've started getting headaches. I suspect it is mold. I have had a pile of mulch outside... wet underneath. I cannot handle myself so got help having it ground up. But the mold is still there and I"m coughing all the time for over a week. I have runny nose and aches and pains in shoulders and arms. I had been suffering from mold sickness for years. The doctors kept bouncing me around from this person to that person. They gave me lots of different tests but none that confirmed that I had mold or toxins from the mold in my body. So I started to do my own research and found a clinic that specialized in this type of environmental illness. Needless to say, they treated me as a whole not basing their conclusions based just on my symptoms which could have been any number of things. It is 2 months later and I am feeling almost my normal self again. Until the doctors out there get of their high horse start listening to their patients and re-educate themselves on this subject, many people are going to remain sick, as long as that arrogance and ignorance is continued to be permitted by the medical profession. Hello and mold problems began in the 60's after the ER doctor told me I would have been dead within the hour from an allergy. He asked what I had been doing and I told him riding a horse when the attack of not breathing properly began. He told me not to do it again or I could die and get to an allergist ASAP. He gave me some little white pills to put under my tongue until the allergist could get the problem under control. I have shots through the years. Until last year I had no attacks at all and a violent attack. Thank God one of the allergist told me never to be without Benadryl ever in my life in case of an attack. I am so happy I listened and was never without Benadryl. It saved my life. Now after a year of shots I had another awful attack with throat closing and throwing up. The doctors, family and allergists had me keep an EpiPen near me at all times and thank God also Benadryl. It appears tea is a big mold issue as I was always drinking tea when the attacks happened but I never suspected black tea. Then I read about mold on black tea leaves and it all made a pattern over the last 59 years. Mold always proved to be the offended with allergy tests etc. So now I am better not ever touching tea again. I drank about 5 cups of hot tea a day plus iced tea. So the allergist told me another year of shots for mold recently. Thank you for this site. I found out 3 months ago that the people who sold me my house never disclosed that there had been a sewerage backup in the house from city sewers and they also never had it cleaned up properly, leaving the sewerage in the walls and under the floors. Then they sold the house to me, I am having some symptoms associated with breathing in mold. I had air tests done and the results were bad very elevated levels of 3 different forms of mold. My attorney tells me I am not entitled to anything for emotional distress or damages, I have had to move out because the house is now classified as unlivable. How can these people get away with this!!!! This is wrong. I'm usually a healthy forty year old female. In the last few months I've been having shortness of breath, headaches, pain in my neck and shoulders, and heart palpitations, and my skin is itchy. Sometimes I would get dizzy and my chest would feel heavy I thought I was having a heart attack or something. I couldn't find what was giving me so many problems. The other day I was cleaning my memory foam mattress and found a lot of black mold. And reading the testimonies on this site I think I found the source of my problems. Thank you for sharing! I had been 2 weeks in hospital for surgery. During this time the drought broke and it rained nonstop. By the time of my discharge it had stopped. About a week later I noticed that I was getting a kind of cold, but it wasn't a cold. Sneezing, running nose and a pain in my nose and sinus to cause me to take to my bed. I tried aspirin and other cold remedies but nothing worked. Eventually I found the culprit. It was a patch of mould on the ceiling in the study. I had to shut the door and restrict myself from entering that room. The symptoms persisted. I had a think about it and decided that it called for drastic action. But in the meantime I tried my friend's advice she had given me in the past when I found I was infected with thrush. She advised me to eat some yoghurt. Well I tried it and it worked. The symptoms stopped. All except the dry cough. However I noticed that if I run out of yoghurt the other symptoms return. We have been experiencing chest heaviness, sore throat, headache, running nose, sneezing, and body aches. In addition, I have been having heart palpitations and my son says he's been feeling dizzy and often feels like passing out. We thought we were just catching a cold, but we started to notice a thin layer of mold growing on our stuff in the garage. The dryer vent leads into the garage, and our rooms are directly above it. Our symptoms have never really gone away but only have gotten worse. Now I know, after reading the information on your site that we are breathing in mold and need to kill the source. I was running a fever along with a very dry cough. I had a severe reaction where my throat closed, so I took Benadryl. The doctor surprised me and told me that with my history of mold allergy that I had a snow mold allergy. I had never heard of this. He gave me two Epi-pens and told me to go to an allergist. Wow, at 72, I did not to hear this. He told me there is mold under the snow, leaves etc. So now it's back for shots. I'm happy he found the cause though. A long-standing plumbing leak was not discovered until after an abundance of mold growth had occurred in the area. Unaware of the mold growth, I had developed an array of allergic reactions. I broke out in hives over my entire torso. My feet and arms were itchy as well. My eyes watered, and I began to have difficulty breathing in that I would cough, wheeze, and not be able to draw in and exhale enough oxygen. A friend commented that there was a "moldy" odor in the living room on and off. That began our search for mold, which we discovered in the kitchen behind the sink, up high and partially obscured by the sink underside itself. Meanwhile, the asthmatic symptoms increased to the point where I was taken by ambulance to the emergency room for IV steroids and albuterol inhalation therapy. I was discharged home in better shape, with oral steroids to take over a period of 7 days, and a rescue inhaler for breathing events. Scary experience. I immediately called a mold remediation company and had the mold professionally removed. None of my symptoms recurred. However, I seem to be more sensitive reactively to mold than I was before. A brief exposure will now cause enough symptoms to make me sit up and take notice. My daughter lives in housing off base, and the air conditioner and vents were loaded with mold. The apartment complex removed the AC, but did not clean anything. My daughter now has severe swelling in face, and has been getting tested for a heart condition. Which, she did not have prior to moving into this place. When the health department was contacted, nothing would be done. As a matter of fact they were rude to her. I was in a Church School Gym with 2 big vent fans where I assisted at a basketball camp for two non consecutive weeks. When the fans were on I can smell a very musty smell. It was bad enough I had to cover my nose to breath until I exit the gym to get some air. I mentioned to the person running the camp (non church affiliated) there is a bad mold problem in this gym. The first week I went home tired, sneezing and with a headache everyday. I went on travel for a week and was fine. I came back to the second week of camp. By Friday, I felt real sick. Through the next week, I had a sinus headache, my cheek bones hurt, nose bleeds, coughing, sneezing, dizziness, congestion and difficulty breathing. Putting 2 and 2 together, I realized what the problem was. I was exposed to Mold. I am headed to the Doctor today, Tuesday, for confirmation and treatment. I am very concerned about the children that come through that gym everyday during school time. I will be writing the Pastor to inform him about the situation and pray he takes immediate action to remedy this mold problem. I purchased a home in Washington State from an executive secretary two months after the State department of Agriculture secretly issues a guidance document for home inspectors that since mold and mildew had no structural concerns it need not be reported on home inspections. I am the last person who would ever over react to the presence of a small amount of mold as I have worked in the field for over 40 years in the medical arena. My attic had over 1,000 square feet of a soft rot fungus which may also be referred to as a mold in general terms. It was not reported to me which delayed the diagnosis of my bloody noses, rash and cough. My cough sputum gram stained as no organisms seen, but pure macrophages with large vacuoles. The death of these cells releases cytokines which I feel led to my enlarged inflamed goiter. I was diagnosed later with adult onset asthma, wheeze, electric shocks in one leg thirteen to fourteen times a day, 8 neurological deficits as defined by my doctor. I was immunosuppressed with multiple pulmonary and urinary tract infections. One physician informed me that the peripheral neuropathy was quite common in mold exposed patients and that mold sequesters Vitamin B. I took Vitamin B and my peripheral neuropathy disappeared in one month's time and I never had an other urinary tract infection for 1.5 years. I was given a 25,000 uro/gyn surgery which failed to help me at all with the infections, but only made matters worse. I will be on Advair for life, I suffer from multiple chemical sensitivity and can not work around perfume without becoming faint and nauseated as well as it serves to aggravate my asthma. Physicians should become aware of the non-allergic effects of mold. This ignorance is costing our health care system far too much. I had a bad experience with mold primarily because I didn't know for several months that my breathing problems were from the large amount of mold spores circulating in my home's air. A friend of mine mentioned that I should check and see if there may be areas in my home that were damp and dark. I did find some areas that looked like they might have been the source for mold spores and had a mold inspection company take a look at it. They did find mold and removed it for me. In about a couple of weeks my breathing was much improved. I worked in a recycling facility where there are hundreds of pails full of mold. We had to wash these pails with improper PPE (personal protective equipment). My washing machine drain has a small leak and I keep putting rags around the drain pipe. After a while the rags and the floor around the leak starts to turn black and slimy, I wonder if this is black mold and if it is dangerous. My daughter has lived in her home for 20 years. She and her husband have been ill most of that time. Within the last year, she has developed food allergies and asthma. Doctor's diagnosis is adult onset asthma brought on by allergies. I have thought for years that they have a mold problem. She has had serious respiratory issues for a year. Her husband developed an unknown muscle disease that has taken him out of work. He has had sinus surgeries and tubes in his ears several times over the years. When visiting St Louis just weeks ago, I experienced severe swelling of the hands and feets and hives on my legs and arms. I have some allergies here in Colorado, but nothing has ever happened to me like this. Watching the local news, the mold count was very high and now I'm worrying if this was my trouble. Upon returning to Colorado I haven't had any problems. I bought a home about six months ago. Lately, I have been feeling like I have a constant cold, sore throat, headache, fever, chills, body aches, etc. I just started going through some boxes that I had stored in my basement. I noticed a white, powdery substance on a rug and the same on a box of boots is the same area. I looked above the area and notice that part of the ceiling was covered with a pressed board. when I pulled some of this down, I noticed mold. I believe this is the main source and that there was water damage in the basement before I purchased the home. I am convinced this is the reason for my ailments and will begin cleanup. Hopefully, I will begin to feel better and the damage to my health is reversible. On the bottoms of my I feet have had red itchy skin, i have had rashes, on my arms and back are moles, and i get foggy vision occasionally. A house we used to live in had 2 holes in the floor, windows needing sealed, and drafty doors. My father only made enough to pay grocery and utilities. Both parents recently passed. She had lung infection, and heart trouble,including water retention. He had incontinence and heart trouble. Thanks to a natural diet program, I am getting detoxed from my mold poisoning. Please spread the word to those with finances to assist those who need help with home repair to prevent drafty residences. I am on a no sugar, no yeast, no cheese diet until I am free. I am currently living in a building that has black mold growing on the walls at an alarming rate. I was on the Channel 11 news hoping that someone will listen. I am taking business and green construction classes. It is a shame that innocent children are exposed to this. People have got to understand that our houses can make us very ill. I am on a personal crusade to right this wrong! Between 2003 and 2005, I had weekly allergy shots for mold, among other allergens. Soon after, I moved from Washington State to Fresno, CA. My allergies have been somewhat manageable until five days ago when I moved into my newly-constructed home. Not present before, the mold suddenly appeared in areas through the house along the baseboard and edge of the carpet. The builder has brought in a specialist; they have sealed off one bedroom and have been running a dehumidifier the past two days. I have been sleeping in my home the past five nights among the mold. Meanwhile, I am beginning to experience allergy symptoms of runny nose, irritated throat (hoarse voice), sinus pressure and headache, and my right eye is showing signs of allergic conjunctivitis that I have had twice previously. I have made an appointment to see my doctor this afternoon. Mold is definitely no joke. My child got very sick from it. Luckily we caught it. Once we realized her sickness was from mold we got it taken care of and she's fine now. After repeatidly coming down with bronchitis, I finally was seen by an allergist. My top allergy was mold. I am taking medication daily throughout the year, and usually don't have any problems unless I forget my meds. For years I have had my hands break out and the skin actully splits open to painfully sore fingers and hands. Last year I finally put it together and realized I had touched the mold/mildew in our basement and did not wash my hands right afterwards. I told my allergist and he said you really are allergic to mold. So take precautions. I worked in an environment for 6 years where mold was in the walls and ceiling. Although we were told no mold existed, I continuously had chronic sinusitis. I took Singulair and Claritin D along with steroidal nose spray. My lymph nodes were enlarged and had chronic malaise. Finally, the mold began growing out of the walls. I went to an ENT who gave me antibiotics which never cured the sinusitis and he finally referred me to an allergist. The allergist gave me allergy tests and me and said I was allergic. I went to another ENT who gave me allergy test and said I was not allergic. I went to a board certified allergist who then told me I was not allergic, but had reaction to the mold, but there was no testing to be done to prove the mold caused my problem. I have been put of the building for 4 months and no longer have any symptoms. I work as an Instructor on Wednesday nights. Every week, I get terribly sick. It starts with a very raw-like sore throat, followed by chest pains, flu-like symptoms, and general malaise. I KNOW its mold in that old building. After seeing numerous physicans, it was clear that many were dismissive or had little understanding of my health problems. I was referred to the mold treatment centers of America by the national mold resource center...and they gave me the testing and treatment that I had so desperately been looking for. I wish I had not had to suffer from mold sickness for so long, but I am glad I found a solution. We rented a house that ended up having several types of mold. I immediately started coughing heavily at night and my boyfriend who has asthma became very ill. I was also diagnosed with hypothyroidism a couple of months after being exposed to the mold. I would like to know if there is a strong chance that the mold caused the dysfunction of my thyroid. I have burning, cloudy eyes with extreme headaches. My arms and legs take turns radiating with a burning sensation. My breathing is shallow. My back burns so bad it brings tears to my eyes. My skin has white patches on chest and back and shoulders. Last but not least, my fingers, wrist and toes cramp and feel stiff. It's so hard to find help without insurance. We discovered black and green mold in the window sills and along the walls of our apartment. I would wake up at night having trouble breathing, leg cramps, with nose bleeds. Our landlord claims the mold was not harmful and when I called the health department and county building inspectors they told me to get a lawyer. We contacted several lawyers but they said that it was a long shot getting any legal action since there are no real regulations at this point. We need regulations/laws to protect people from this terrible health hazard. Don't rent apartment until you look closely! A family member lives in a 60 year old cement block house that has been vinyl sided. Evidence of a moldy green/black substance was visible on the blocks all around the house in some areas as high as 2 feet. The moldy substance is again visible on the siding over much larger areas. There is a musty moldy smell in the house at all times and is present on their clothing especially noticeable when they come to visit. Numerous almost continuous health issues are present in all household members including sore throat scratchy throat coughing with phlegm, runny nose and respiratory congestion. Oh my, I have had allergies through the years and upon occasion had to use Albuterol, and medication. In January of 2010, I became severe. Steroids, Advair, Albuterol, and a Nebulizer. In March 2010, it was discovered I had a water leak between my master bath and living room walls upon knock down, 4 1/2 to 5 foot high of mold, some black. My home repaired, but needless to say, my health has deteriorated and continue to use daily treatments, less the steroids. The mold was there for some time. My quality of life has been severely inhibited to even perform simple tasks. I was diagnosed with a lump in my right lung middle lobe last Nov 14 and by Nov 25th I had major surgery to remove the complete middle lobe. Two week later, when the results came back, I was told I had a "mold spore" that have lodged and grown to the size of a golf ball. I asked and was told I could have breathed it in anywhere. We bought a new house 5 years ago, had an expensive humidifier installed. We paid a maintenance fee so that we had 2 inspections a year of the system. Over the past 3 years I have developed skin rashes, muscle pain in the shoulder and neck area, cough, and many urinary tract infections, breathing problems, a general feeling of being poisoned. I am allergic to mold The outcome was the humidifier had never been serviced and when it was finally done, it was full of slimy water, mold, rust..And I would assume bacteria. The sensor had stuck so the humidifier kept going, and this rubbish kept circulating through the house. The excuse from the company is that cleaning the humidifier wasn't included in the maintenance fee. Nobody told us about that we were told the fee covered the whole system. So if anyone out there is having allergy problems please get your humidifier on your furnace checked, mold is a very serious allergy. I learned one thing we will never have a humidifier on our furnace, I shall buy one that I can control and check. After having a gas heater (hangs on wall) installed because my floor furnace no longer could be used because of a crack in it. My windows have had water just running down them on to the window sills and I have mold forming on sills and the sheet rock on walls. I have cleaned this off with chlorox cleanup but the problem returns. My house has had a musty/mildew smell for the past several months. I noticed last month that black stuff is growing around the A/C vents on the ceilings. I have seasonal allergies and bronchial asthma when my allergies are acting up. When I am in my house my eyes tear up, my lungs close up, I sniffle and my nose gets stopped up. I just found a large amount of black mold in my bathroom while having it remodeled. Therefore I started reading about symptoms and found this site. My entire family has very bad outdoor allergies so it is hard for me to know if we have any symptoms due to the mold or not. I have only lived in this house for about 8 months so the exposure hasn't been too long. After two weeks of having a Christmas tree in the house my daughter has been coughing and wheezing. She suffers from seasonal allergies. So I kicked that tree to the curb never again will I have a moldy dead tree in my house.